Our Gallery/Workshop at The Old Post Office, Dale, open daily from 10.30am – 5.00pm during April through September. Come and visit us! The workshop/gallery is situated in the beautiful coastal village of Dale. 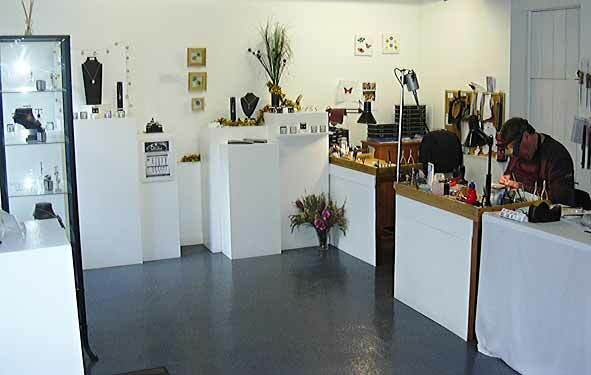 Visitors are most welcome to come in and watch us at work and see our work in progress and our finished pieces of jewellery and art objects for sale , also hand crafted by us.